​It’s 5:00 AM when I am woken from my all to brief sleep by the loud construction noises above at the Hotel Payal in Himmatnagar, India. Not that it matters because I need to be up soon to as the reason I am in this small Gujrati town is to ride the soon to be closed meter gauge railway and I have a train to catch. 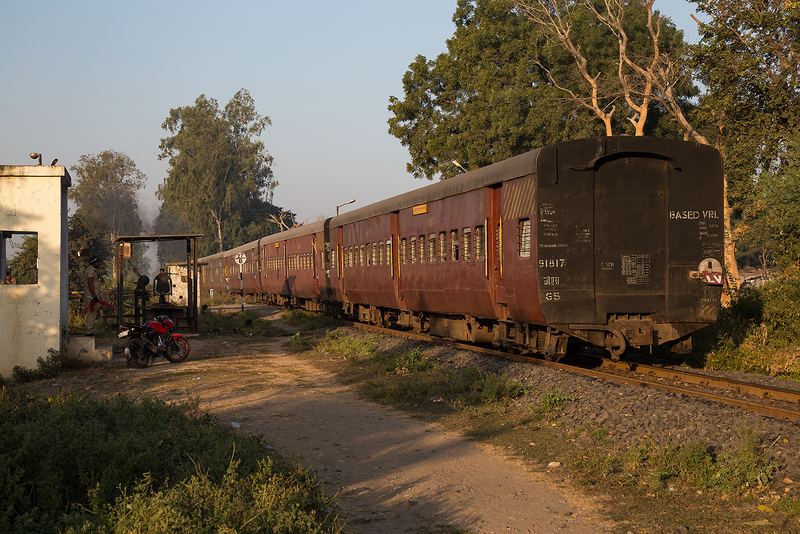 Himmatnagar is one of the very last of the once many meter gauge junction stations in India, here the Udaipur to Ahmedabad mainline meets a small branchline to Khedbrahma. The line between Udaipur and Himmatnagar is lightly trafficed and I had travelled the previous day on the only day train that covers the distance, the 52927 Mewar fast passenger. 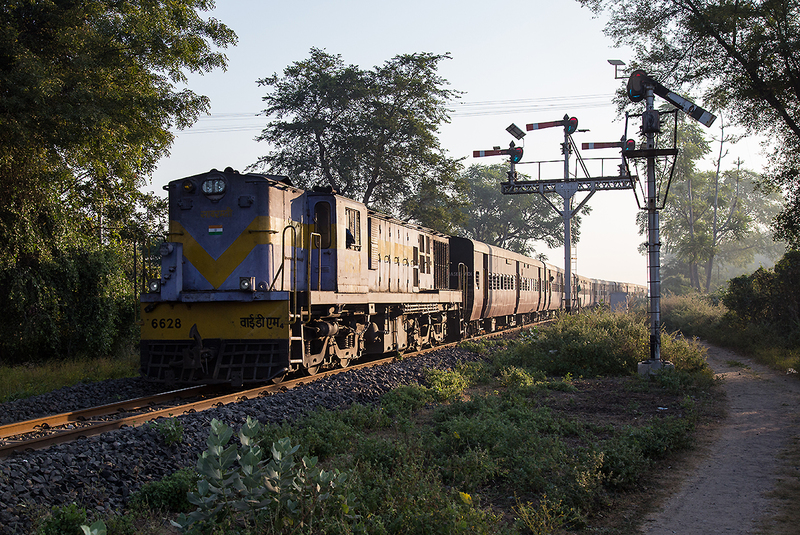 The line from Himmatnagar to Ahmedabad however serves as a commuter railway and traffic is much denser by meter gauge standards. I take longer getting ready than I should and I walk quickly through the darkened streets, the air is still a bit chilly and few others are out, some sit huddled by fires to keep warm. Eventually I made my way to the tracks and with the aid of my flashlight walk down the rails to the station platform. Thankfully all is as expected and I find YDM4 6628 idling at the end of the platform with 6 coaches for the 52921 service to Ahmedabad. The train is totally empty so I find the prized emergency exit seat without bars over the window in the first coach and settle in. Right on time at 0600 with a blast of the horn the 6-251 powered YDM4 comes to life and accelerates out of town. 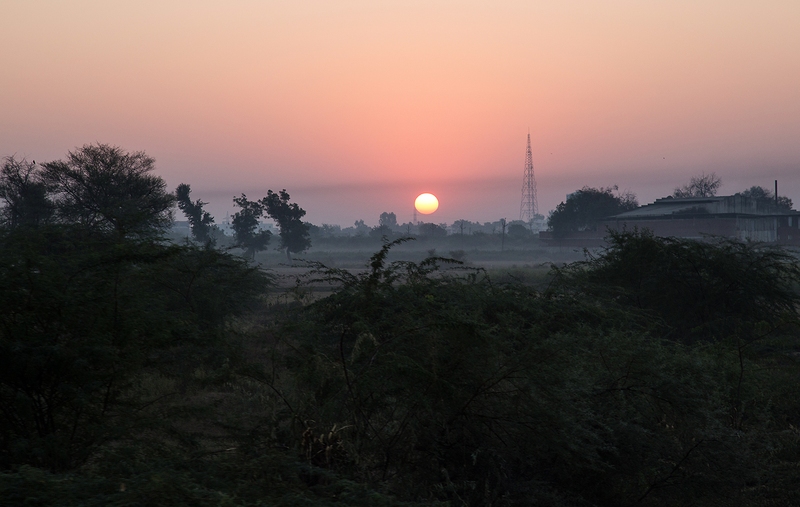 Shortly before 7 I am treated to a to another beautiful Indian sunrise over the misty plains as the train rolls into Talod and the train starts to fill up. My destination this morning is the town of Nandol Dahegam, a small village 20 km from Ahmedabad. Upon arrival I quickly sprint down to the south end of the station loop and though out of breath I am able to compose a shot of the train passing the semaphore signal array in the sweet morning light. 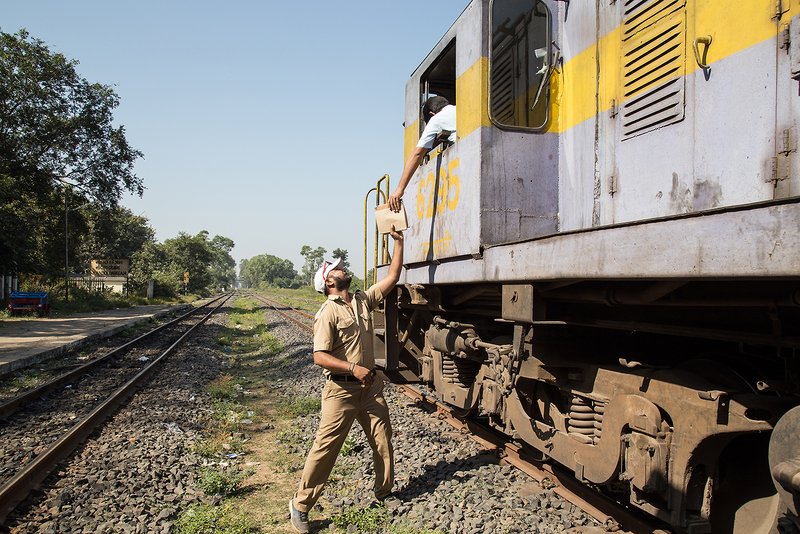 As the train accelerates away the crossing flagman and the guard exchange waves of the all clear green flag, everywhere you look there is life on the Indian Railways. I knew I would not have long to wait for the first northbound train so I walked to the north end of the loop to find a photo spot. The Mewar Fast passenger 52928 departed 8 minutes late with the devils locomotive, 6666 leading. 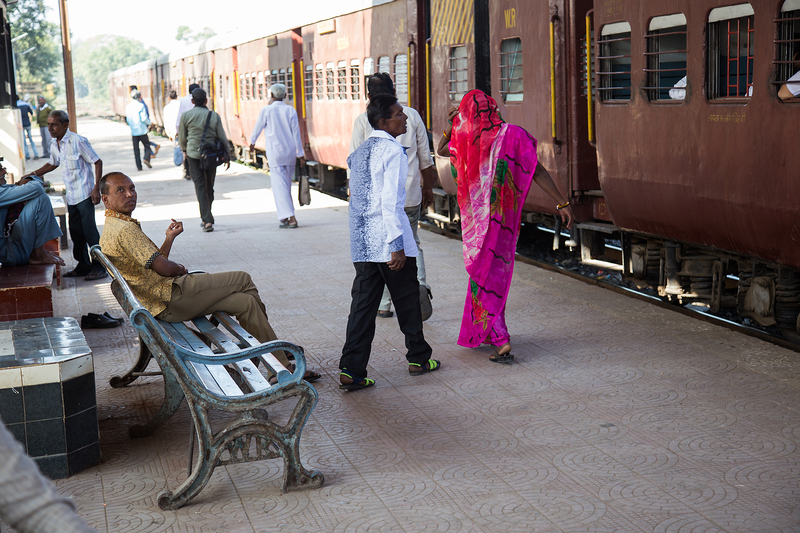 It would be a full 12 hours before the train reaches its final destination and the end of the meter gauge in Udaipur. 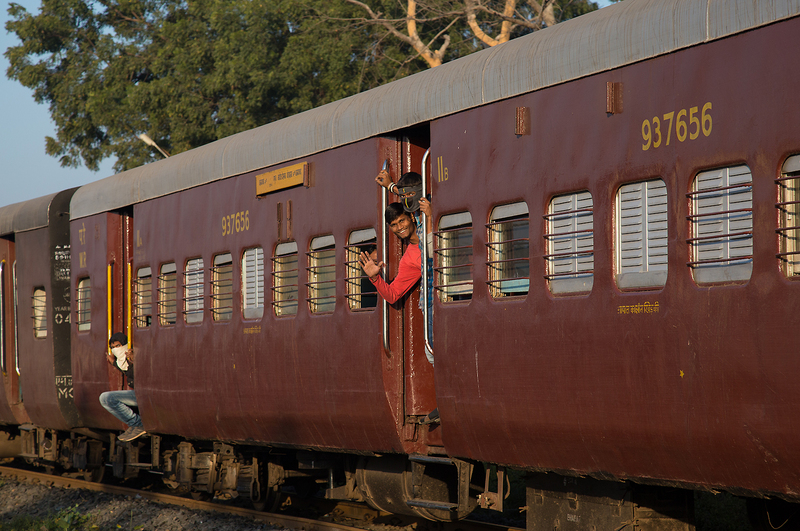 Prior to leaving for India I was able to secure an official Indian Railways photography permit and today I planned to put it to use. I had chosen Nandol Dahegam as it would be a good place to photograph the token system in use. I found the station staff and I was in luck as Mr. Balwant Singh, the traffic assistant assistant spoke very good English and was happy to show me around. The next train, 52924 Ahmedabad to Khedbrahma passenger was due in shortly and I would get to see the token exchange in action. The Token System is one of the earliest methods of train control, originating in Britain and still found in many former British colonies though becoming increasingly rare. The system relies on tokens which are small metal balls engraved with a line segment, only with this token can a train proceed into the segment. When the train reaches the ​​​end of the segment it must surrender the token for the previous segment and pick up the token for the next before it can proceed. 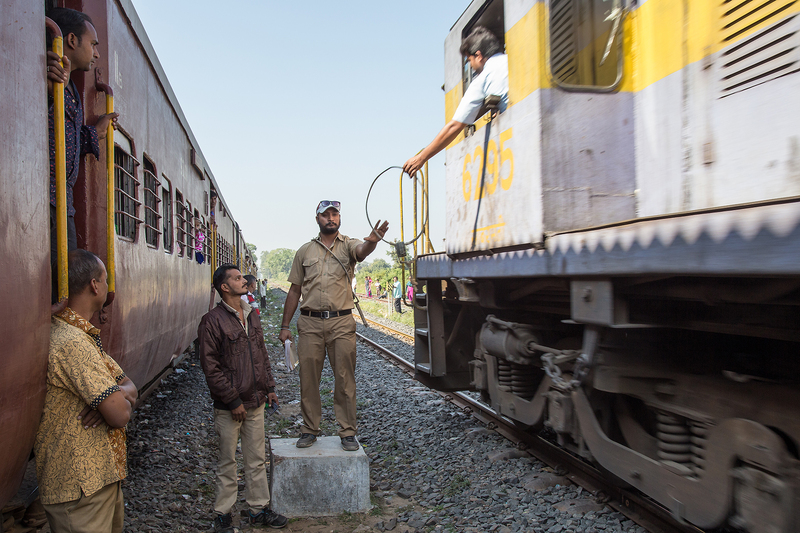 The station masters at each end of the segment must contact each other before they can issue a token to a train. 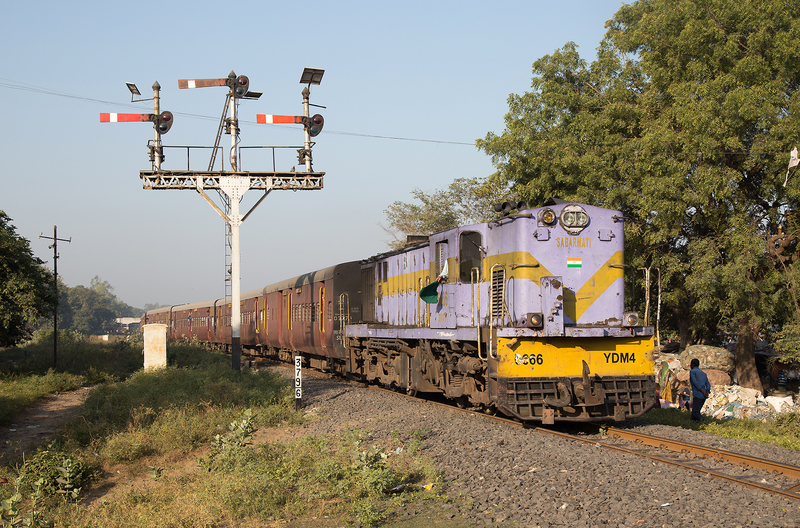 In some places the exchange is done at full track speed, however this has become increasingly rare on the meter gauge as few segments have anything but all-stop local trains. The heart of the system is the Neale’s Ball Token instrument. Each station has two instruments, one for the line segment in each direction from the segment. 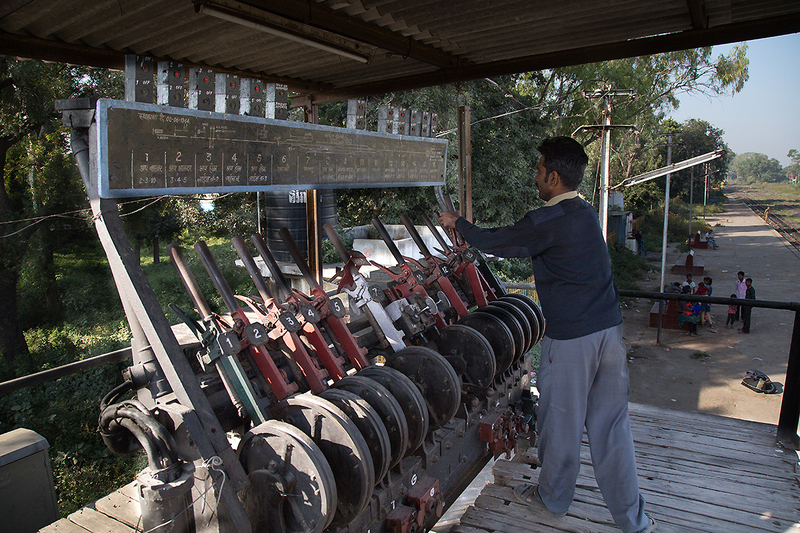 This instrument controls the movement between Nandol Dahegam and Talod as indicated by the station code TOD. The illustration below shows the basic operation of the instrument. 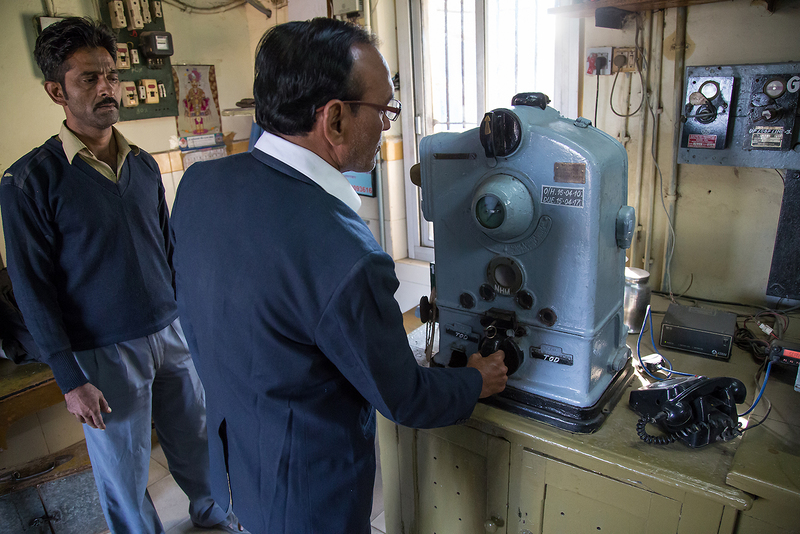 Stationmaster Arun Sherma prepares the token for 52924 Ahmedabad – Khedbrahma passenger. The token is then placed in a pouch in the token hoop so it can easily be passed to the locomotive driver. The line segment can clearly be seen engraved in the metal token. 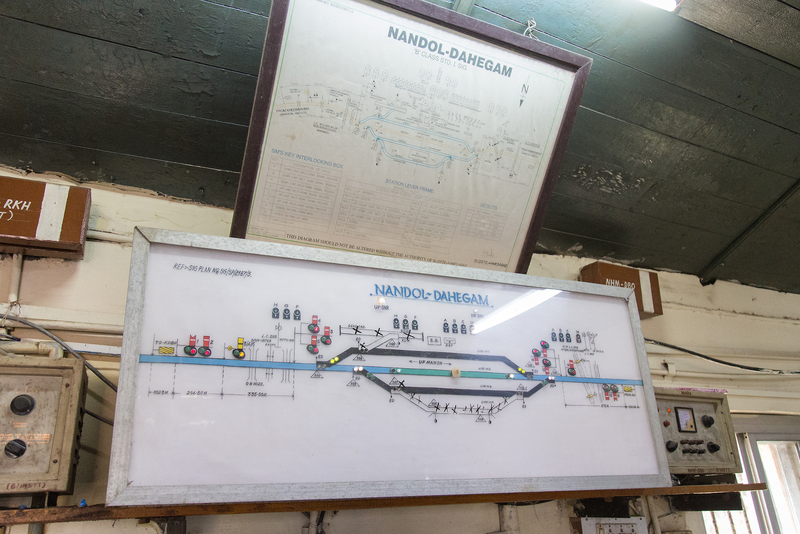 The signal board for Nandol~Dahegam station, the board is showing the the switches lined through the station for the Khed Brahma bound 52924. The diagram also illustrates the home and distant signal lower quadrant semaphore arrangement. Shortly before the trains scheduled arrival we head up to the elevated lever frame to line the semaphore for 52924. Two keys must be inserted to unlock the lever frame, then lever number 13 is used to set the Track 1 home signal to clear. 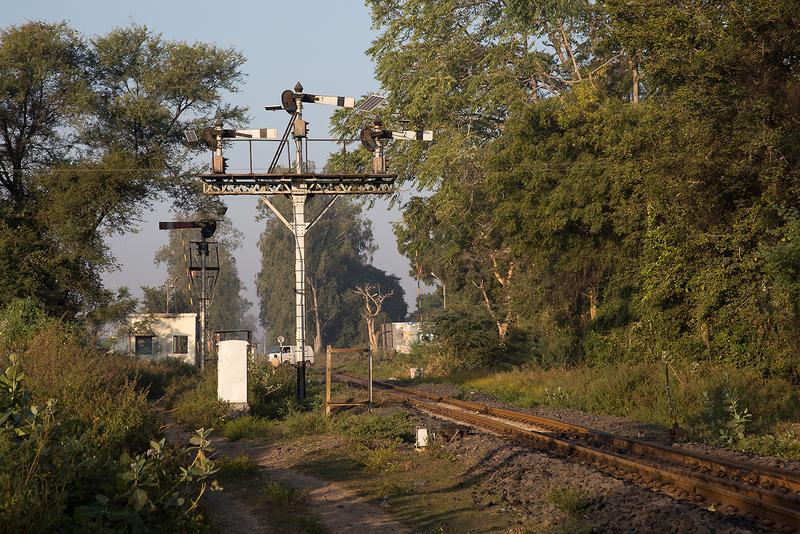 There are two sets of signals controlled from the lever frame; the outer signals located located a half mile from the station which indicate if the train can enter the station, then when the train reaches the station the three headed home signals will indicate which track the train will take. When the train departs the station master will set the starter signal to clear but curiously at NDM there is only a starter for up trains. Below is a translated version of the lever frame diagram, kindly translated by Vivek Mishra. The driver of 52924 passes the token for the Dabhoda to NHM segment to Manher Singh Bihola (Senior Pointsman) as the train enters the station. The onward token will be passed to the driver when the locomotive stops at the end of the platform. 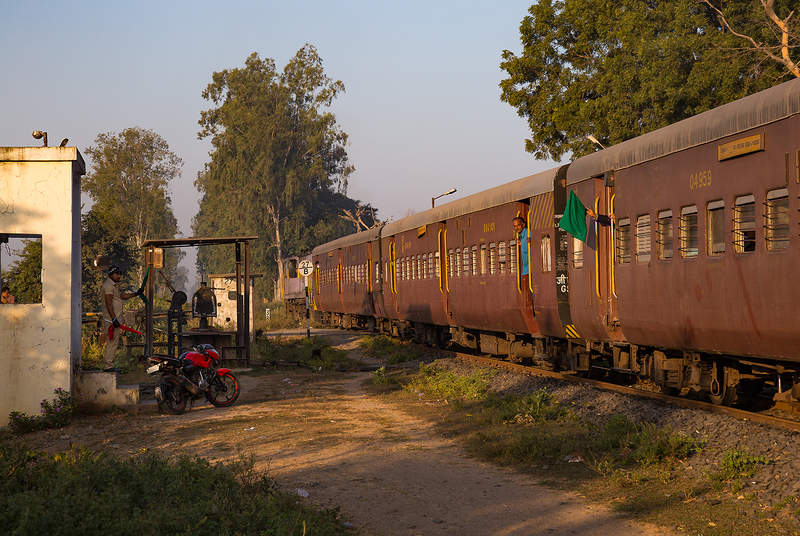 After 52924 departed towards Khed Brahma it would be a long wait till the next train so Mr. Singh graciously took me to a nearby food stand where I sampled some delicious Gujrati food, my favorite being papdi with green chili chutney, a popular Gujrati snack. While we waited we talked about where we were from, I talked about life in the US and Mr. Singh told me how he was born in Punjab but had moved around the country with the railways before ending up at Nandol Dahegam. We discussed the future of the station as we looked at the new much larger station under construction, Mr. Singh said everyone would be relocated but that it would be hard leaving the close knit work family that is a part of the meter gauge and we both felt that something special would be lost when the MG and the token system went away. We arrived back at the station just in time to see train 52920 Ahmedabad to Himmatnagar slowly roll in, the train would wait here to cross 52925 Khed Brahma to Ahmedabad which was still making its way south. 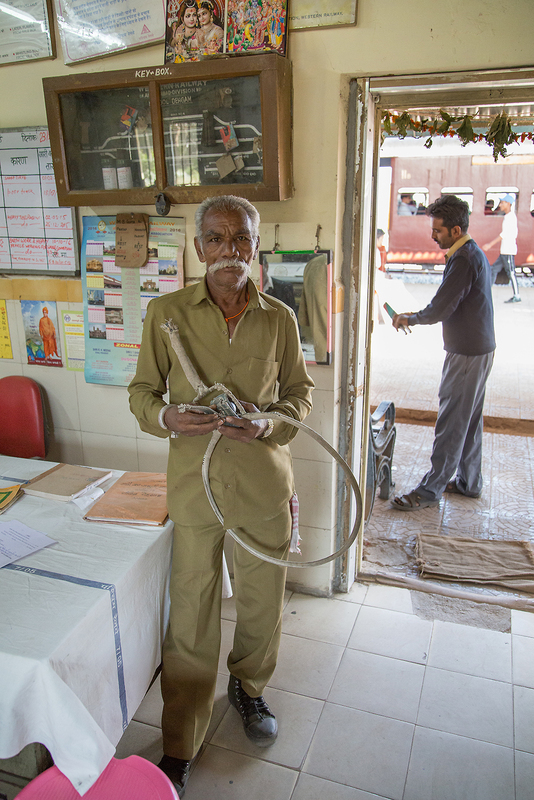 As we returned inside the station Mr. Sherma is preparing for the arrival of train 52925 from Talod. The switches control the power motors for the loop line switches, 52925 is being routed down the center track since 52920 is standing on Line 1. Below are the keys used to unlock the lever frame seen earlier. 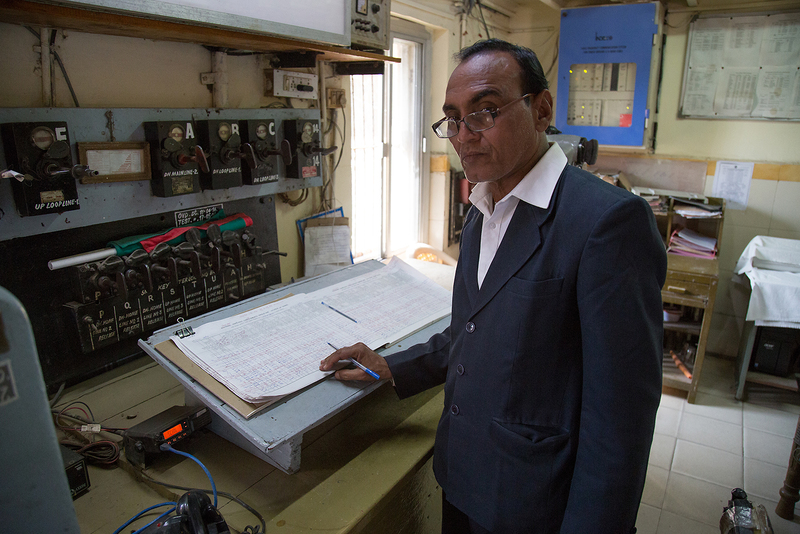 Mr. Sherma fills out the train sheet which logs all arrivals, departures and related information. 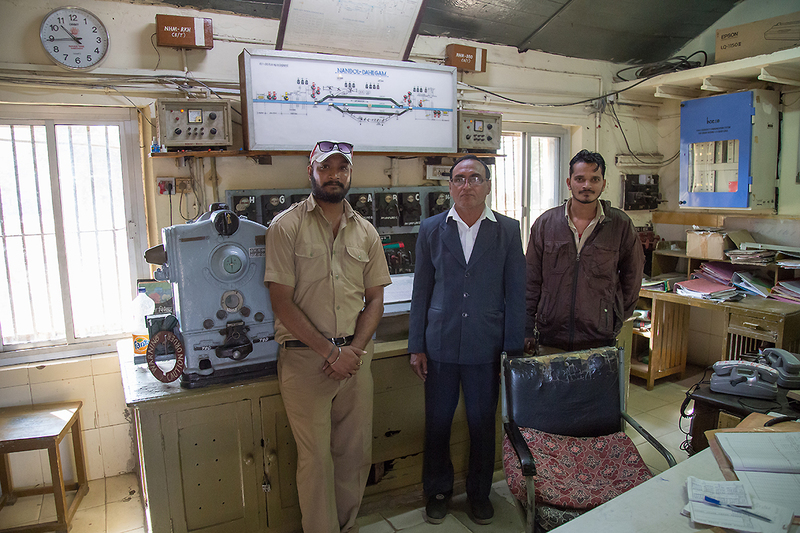 Traffic assistant Balwant Singh, stationmaster Arun Sherma and platform potter Rajesh Bhurita pose for a photograph inside the stationmasters office. Passengers sit patiently as 52920 awaits the arrival of 52925. The ornate bench bears the Western Railway initials. Finally the time has come and 52925’s assistant loco pilot hands the token conveying authority from TOD-NHM to Balwant as the train enters the station. 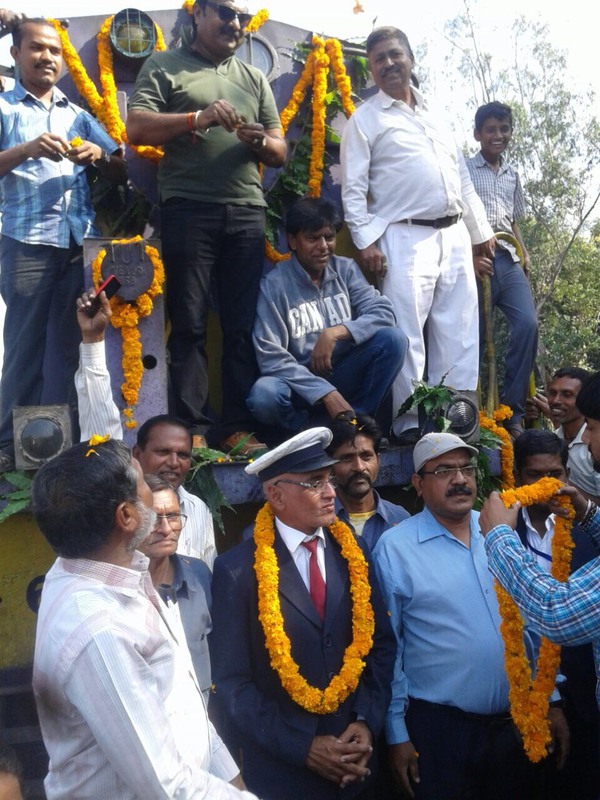 Passengers on 52920 gather to watch the time honored practice, deep down India is a nation of railfans. 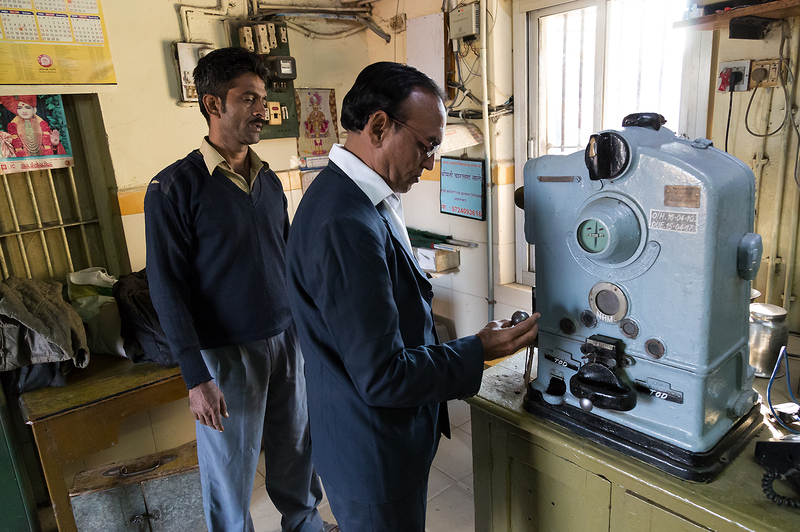 After the Balwant handed the token to 52920’s driver it was time to head north to Himmatnagar to properly document the meter gauge junction where I had left from in the morning. I thanked Balwant and then hopped on board the slowly moving train for the journey north. 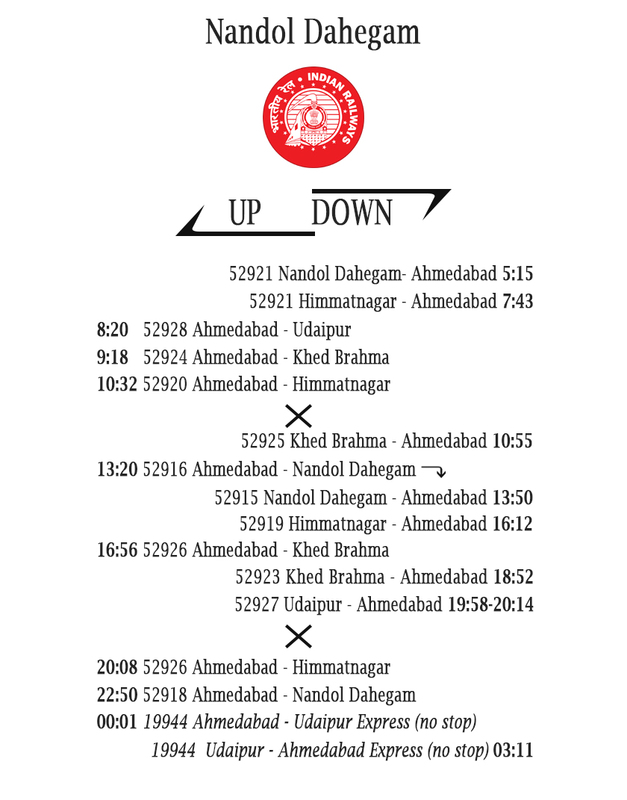 Nandol Dahegam station along with the entire Ahmedabad-Khed Brahma/Udaipur meter gauge railway closed on January 1st 2017. When it reopens it will likely be unrecognizable with broad gauge tracks, electrification and all new stations. No doubt it will help the local population but its sad to know the YDM4’s, the British era infrastructure and most of all the close knit railway families fostered by the hands on method of train control will all be swept away. 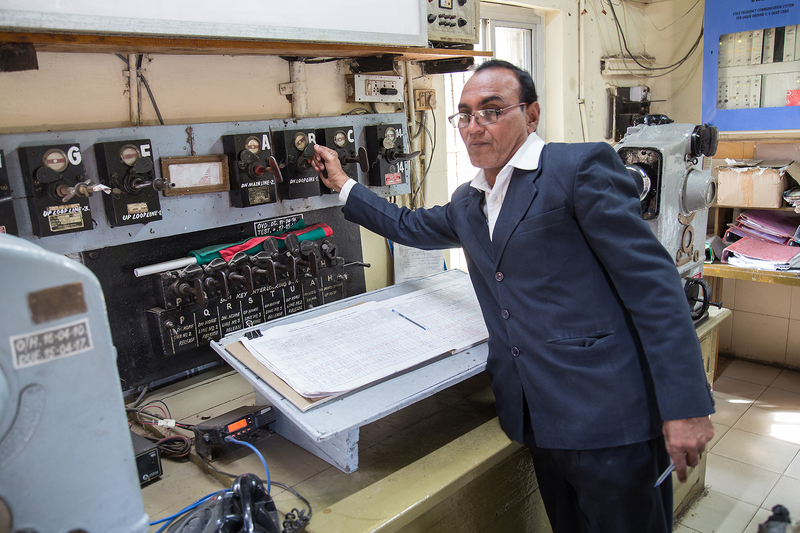 I would like to thank Balwant Singh, Arun Sherma and the rest of the station staff at Nandol Dahegam for the hospitality. Thanks to James Billingham for providing information on this station from his visit a few months prior. Gosh. This just blows me away. Excellent work! Excellent article Nikos. 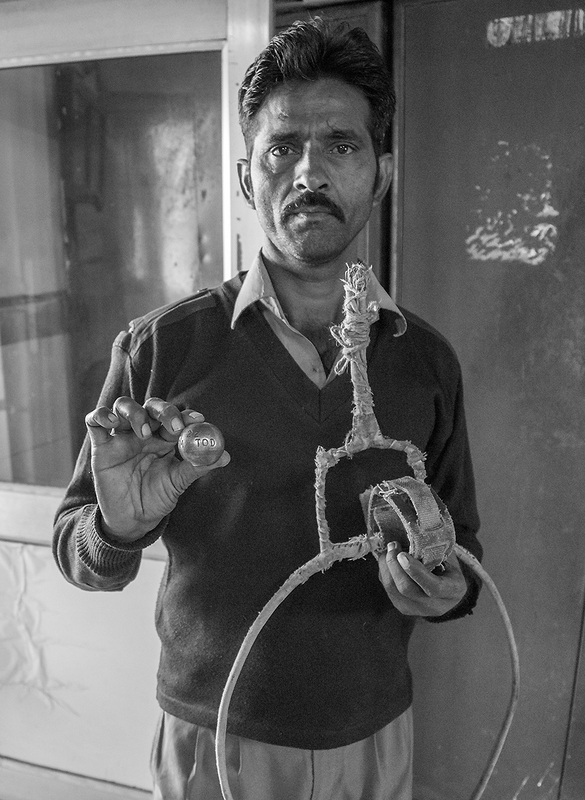 Really captures the character of the Metre Gauge in India. Hope we get to visit India again before it is all gone. Excellent work dear Nikos…… Your hard work and dedication towards your project depicted here, in really glade to be a part of your work.